South West Music School is a Centre of Advanced Training (CAT) and a music charity working with talented young instrumentalists, singers and composers aged 8 – 19 years in the South West of England. Due to the geographical nature of the South West, we are not building based but are a ‘virtual’ school working with young people on an individual basis in their local area. South West Music School is part of a national network of Centres of Advanced Training supported by the Department for Education Music and Dance Scheme for exceptionally talented young musicians. Funding provided by the DfE ensures that each student has adequate resources to undertake involvement with SWMS and that all costs are met according to need. South West Music School (SWMS) provides students with the same standard of music education as specialist music schools and junior conservatoires. The additional benefit of SWMS is that it allows students to stay in their existing education and continue to take part in other current musical (and non-musical) activities in their local communities. Since its inception in 2007, SWMS has grown from 15 students in its first year to over 100 students in 2017-18. SWMS now runs five programmes to suit a variety of needs, interests and levels of experience. All programmes are inclusive and open to all regardless of personal background. We are also musically inclusive – designed to identify and nurture exceptional instrumental, vocal and composition talent from all areas of music. The only restriction to our programmes is the need to possess high levels of musicianship and commitment. The Foundation programme offers students six specialist workshops per year that are led by music industry professionals and talented artists. They focus on a number of themes such as improvisation and interpretation, listening and rhythm, storytelling, performance and presentation and ensemble skills. 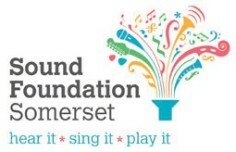 South West Music School is now offering an enhanced element to a select number of students on the Foundation programme, comprising of an introductory mentoring and tuition package. The Performance Development Programme (PDP) consists of five themed sessions and one weekend residential across the academic year. These sessions cover topics such as repertoire development and band/ensemble playing, and will be relevant to your genre or style of music. Added to this will be a series of opportunities to perform in public. PDP also offers a bespoke mentoring and tutoring package to each student. Students on the Core programme are offered two four-day residentials per year. Residentials take place during school half terms and holidays. They are an opportunity for students to participate in focused learning, looking at specific areas of musical or compositional development – ranging from performance and practice to how to manage yourself in the music business. Core programme residentials also often centre on an artistic theme such as jazz, Shakespeare, film music, celebration, dance and much more. Composer students are offered three residentials per year. The first two are led by SWMS and take place over 3 – 4 days during school half terms and holidays, one in collaboration with the Core students. The last residential of the year is run by Sound and Music – a charity for new music who run a summer school for budding young composers each year. This residential is seven days long and takes place in the summer holidays. Enhanced Foundation, Performance Development, Composer and Core students are all also offered expert tuition and mentoring within their local area. This is set up via South West Music School and is individually tailored to the student’s needs. Tutors and mentors enable students to progress to the next stage of their musical journey – offering them guidance, support and professional teaching. Further information on all of South West Music School’s programmes can be found here. South West Music School’s reason for existence is simple: to give talented young musicians the opportunity to fulfil their musical potential, regardless of their background. Through means tested grants, South West Music School students can gain access to musical tuition and experiences of the highest standard. South West Music School covers each county in the South West region: Cornwall, Devon, Dorset, Somerset, Bristol, Gloucestershire, BaNES and Wiltshire. Our registered office is in Bristol, however we have staff all across the region. Contact details can be found here. Means tested grants are available. South West Music School opens applications to its programmes on an annual basis. Applications usually open between January and March, and close in May. All information on the application process can be found on our How to Apply page.